Something strange happened during the winter months that caused the zucchini left rotting in my garden area to multiply into about a billion seeds and burst forth this spring with hundreds of plants in my very small garden. The zucchini, like my oven, have gone totally berserk! I have pulled up plants, tried to give them away, begged family and friends to take them off my hands, and now I am left with a bunch of zucchini that must be turned into something edible. Captain Cavedweller and his mother would founder on fried zucchini if someone would let them. When I make fried zucchini, I have to quietly sneak into the kitchen and make it as fast as I can, otherwise CC is camped out beside me eating them as fast as they cool down enough to put in his mouth. When his mom is visiting, I can just give up any thought that I will get even one bite, cause they aren’t sharing. Not at all. 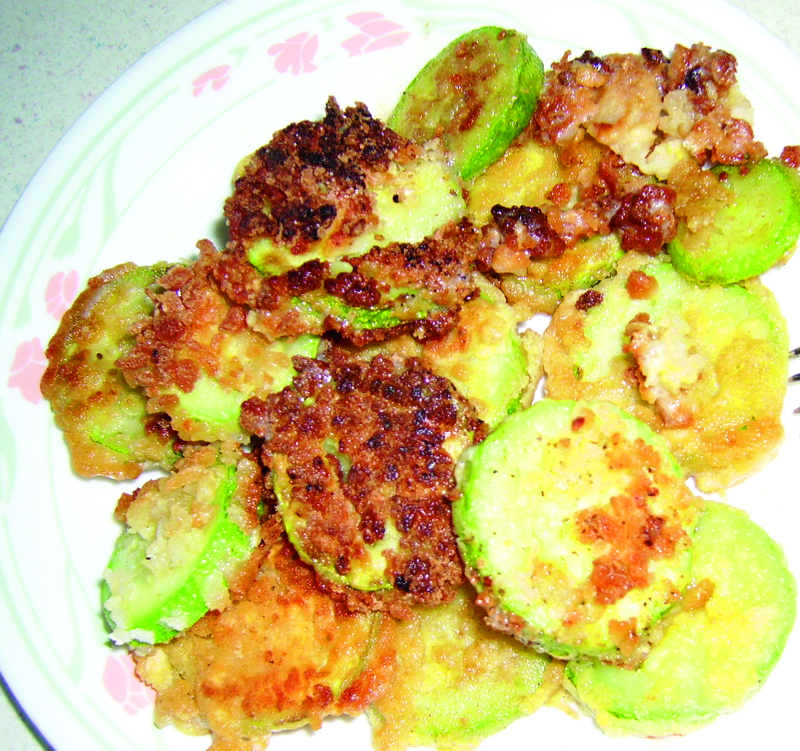 Here is my simple recipe for making fried zucchini. Enjoy! Zucchini sliced and ready for coating. Ready to dip in our three coatings. Coat with flour before dipping it into the beaten egg. Once you’ve got it covered with the egg, move on to the Panko Crumbs with seasoning. Fry until golden brown on each side – it doesn’t take long. Heat a heavy skillet (I like cast iron) over medium heat with enough oil to cover the bottom. Let the oil get hot. 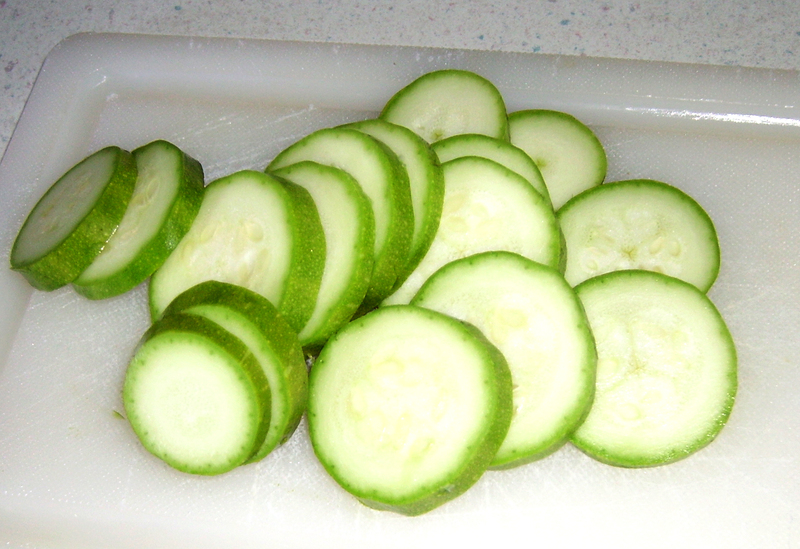 While it is coming up to temp, wash and thinly slice your zucchini. Put your flour in one dish, the egg in a second and the Panko crumbs mixed with the seasonings in a third. 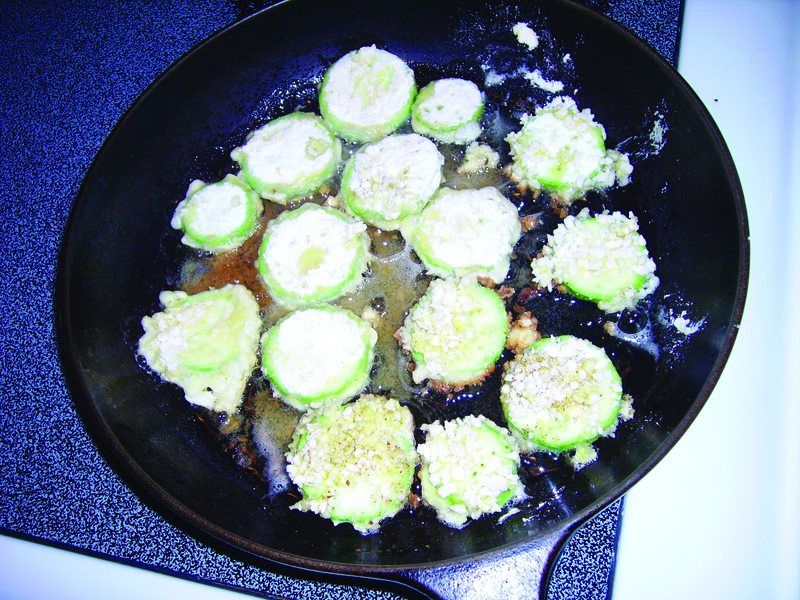 Coat each zucchini slice in the flour, drench with the egg and finish off with the Panko crumbs. Then fry on each side until golden brown. Place on a plate or platter covered with paper towels to absorb excess grease. If there are any left to serve, you can have a basic ranch sauce to dip them in or eat plain. Hoping you get more of them than I do!